1. Use Squeaky Clean 2 to 3 times daily, morning and night. 3. Pump 2 to 3 pea-sized drops of Squeaky Clean onto your wet palm and lather with water. 5. Rinse off with plenty of water. 7. The product may last up to 3 months until completely used. • Research has confirmed its anti-inflammatory properties and ability in promotes wound healing. Delivers a smooth, supple skin texture. • An ingredient with great anti-inflammatory and skin softening properties. It assists in cleansing and blackheads-removing process. I do have big improvement after using this cleanser then i thought my face is cure so i stop using it, but with differrent kind of cleanser and all other serum is remain my face pores is many blackhead again untill these day i use again squeaky clean my face is lesser blackhead and clean . I like this product very much. This cleanser have a mint smell, i do feel cooling effect when use it to wash face. The beads with cooling mint do help me reduce minor white head and cleanse my pore . 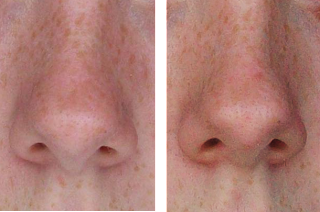 Hard to clean tiny blackhead do appear on area between my nose and eye. The skin is very thin on that area and make me not able to press blackhead with tools but this cleanser can cleanse it. I have sensitive skin especially with cleanser that have beads or scrubs. but this cleanser not just reduce my blackheads, but also eliminate my menstrual acne. I am now on my 2nd bottle. i received the sample of this product along with my purchase the other day. i really love the texture of this cleanser, it has micro beads in it and it feels soft against my skin. after washing it off, my skin felt really fresh and matte, it definitely worked on getting rid of my blackheads. The best cleanser. Never dry out my skin. Feels clean and fresh. Been sharing this with my teen boy. I have been use 3 bottles of this product. Its make my skin feels clean and smooth. It helps to eliminated my blackhead and whiteheads. great product. My face remains matte and my skin are soften after cleansing with this gel! will definitely re-order this! 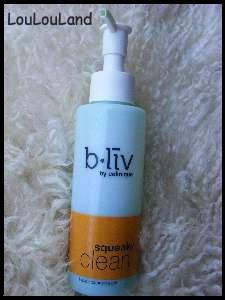 I start using bliv products one month ago and I am already a big fan of bliv! I haven't finished my Squeaky Clean but now I bought another bottle because it really works so well on my face and makes my skin so smooth and clean! definitely keep on using this! i have used the sample, but the bottle is too small, fast to finished. will try to buy a big bottle when promotion. Best gila pakai pencuci ni.. Muka dah kurang blackhead dan whitehead..
Just restocked this for the second time. Undoubtedly Squeaky Clean cleansing gel can cleanse, control oil and acne so well! My blackheads and whiteheads reduced a lot after using this with 'Off With Those Heads' sebum gel. COMBO ROCKS! Already use this product for 4 years. Had thought of changing to other brand several times as this cleanser is quite pricey. But, whenever I tried another cleanser, felt like something is not right. Love the smell, texture and everything bout this product. It has helped me a lot to control oil and acne. got this as a sample when i bougbt Double Deals. too small bottle of a sample to tell as it only lasted 3 uses. bought the retail bottle this time. my initial 3 uses, this product seems to clean my face with no breakouts but can be a little drying. will review again when i use the big bottle. Just started using this cleanser and I love that it makes my skin cleaner and it doesn't make my skin tight after washing. The tiny beads helps with exfoliation and it makes my skin smoother. Love the after effect, there's a little cooling effect :) would definitely re-purchase! Squeaky clean is a little too drying for my facial skin. My face feels really tighten after using. However seeing it's effectiveness in gently rubbing off impurities and blackheads from my skin, I then used it in another way - body scrub! And it's just as effective on the body as it is on the face. Very gentle scrub and wash.
Been using this cleanser for two and a half years now. Currently into my sixth bottle, and still loving it! When I first tried it, I was totally amazed. Not only did it softened the clogged pores, the blackheads literally popped out, making extractions so much easier. My face became noticeably clearer and smoother. However, it cannot remove makeup, as some might have claimed. I usually double cleanse my skin after using a makeup remover as this cleanser cannot even remove the faintest makeup residue. Nevertheless, this cleanser is an essential part of my skin care regimen and will definitely continue to use it. I started using this product about 2weeks ago and i'm amazed by the result. It really does what it says. It cleans my pores and keep my skin hydrate and smooth. The most important part for me is that it fades my acne scars and keeps my acne under control. Really love the smell and textures of this product. Will continue to use it for even better results. i have already used this cleanser for about 3 weeks. i love the smell and it's so refreshing. I feel my skin is clearer and is not dry at all after use. Loves the smell of this cleanser. It's so refreshing after wash my face especially early in the morning, and it does clean away all the make-ups on my face. The tiny microbeads can remove the dead skin, leaving smooth and perfectly cleaned skin. Gonna repurchase it again!!! This product has a strong refreshing minty smell and it is green in color with microbeads. Firstly since young, the beautician does not recommend scrubbing face on daily basis. Therefore I use this cleanser only once a week acting as a scrub + cleanser because this product really cleanses and cleans the face well, and meaning that by using everyday it will strip you face of all the oil leaving it a bit dry. My recommendation is that it acts well very as scrub but not as a cleanser I would use daily. This is the best exfoliate cleanser I ever used! It makes your skin feel cool and moisture! You can tell your pores become smaller after day by day usage. 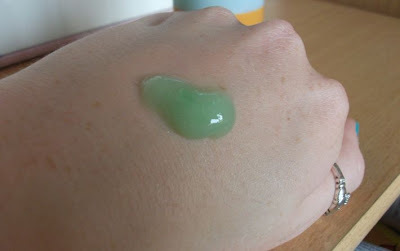 The micro-beads is quite soft~ It never cause any redness like other brands' exfoliate cleanser! It's the best cleanser for combination or oily skin like me! This is the type of cleanser which I would use daily. It smells nice and refreshing. My face is squeeky clean after cleansing with Squeeky Clean. The little beads are good in removing impurities after a long day with make up. This cleaning gel like texture with fine microbeads and has a herbal minty smell. My skin didn't feel dry after using the wash. This is perfect for my congested skin and breakouts on my T-Zone and lovely on my normal skin on my cheeks too. I love this stuff, I have really oily skin and this stuff makes my skin feel super clean and dry not oily! I think anyone with oily skin should atleast give this a try! So worth it! I tried the sample of this cleanser and after a couple of days of using it I bought the full size product! It has very tiny rounded, comfortable-to-use beads that are enveloped by a formula that is easy to move around the face for a fully cleansed yet gentle feeling on the skin. There is no dragging of the skin - instead my skin felt totally refreshed and completely cleansed of make-up, oil and dead surface skin. This is perfect for my congested skin and breakouts on my T-Zone and lovely on my normal skin on my cheeks too. It has a delicate mint scent which is lovely to smell while I'm cleansing my face. I have combination oily skin and my skin looks really good after using this - even after just a short time! A little mint flavor, painted on the face a little bit cool, washing face or cool; scrub particles is very small, not hurting the skin, you can slowly massage. Wash it very clean, and very refreshing, especially for summer! My skin is really sensitive but this gel, even with the microbeads does not irritate my skin when I clean my face. In fact, the beads helps me get into those pores better. Love the cool freshness it leaves after washing, definitely anti-inflammatory with my acne. It is one of my favourite cleansers. before when I use scrub cleaning gel ,my face looks red and itch ,but this squesky clean gel feel better . i love the minty smell and my skin is clean and not dry after using this cleanser. unfortunately it can not cleanse makeup. The squeaky clean does not have the bubbles like "no spots by dots". Which is something I prefer, but it still does the cleaning job. This product has a mint smell to it, and it has some micro-beads to clean off dead skins and to remove the oil on my face. I like Squeaky Clean as a daily cleanser. I have been using it for some time now and it cleans your face well. I especially like the microfine beads for a gentle exfoliation and the fresh minty smell. Exfoliation makes your acne scars go away faster and the minty smell gives you the feeling your skin has been freshed cleansed. The only disadvantage of this daily cleanser I find that it's not a makeup cleanser. My BB cream was not cleansed entirely from my face. Oh, I love this product for various reasons. One, it smelled nice, even though at first my friend said it smelled like toothpaste. Second, it didn't irritate the hell out of my skin, which is the best thing. Third, my skin felt smooth and nice and squeaky clean after usage. The tiny beads does wonder for exfoliating. It's gentle to, although I experienced tingling sensation on my skin in the first week of using it. But afterwards there's no more. Maybe because by now my skin was used to it. I used it with Off With Those Heads so the two products combined together revealed a clearer and smoother skin. So I'm happy. But unfortunately, it doesn't really work stripping off a layer of BB cream which I loved to wear. Usually I will have to wash my face with my other cleanser first, and used Squeaky Clean just before I went to bed. It worked so I guess it's alright. But as usual, I can't give it a 5-star rating because of it's price. RM 69.90 per bottle is quite expensive for a cleanser.... but for the sake of beauty, once a while I wouldn't mind to splurge. nice fine beads that helps exfoliate while cleanses. skin feels clean and not overly dry. peppermint oil wakes me up in the morning with a nice tingle! 10ml is simply not enough. love the fine beads and fresh clean scent. skin feels clean and comfortable, unlike some cleaner for oily skin which strips you skin awfully dry. My face feels squeaky clean right from the first wash! This is the exact kind of clean I love to feel on my face! Absolutely fabulous and no icky residue left after rinsing it off. Lovely... will continue using this definately.